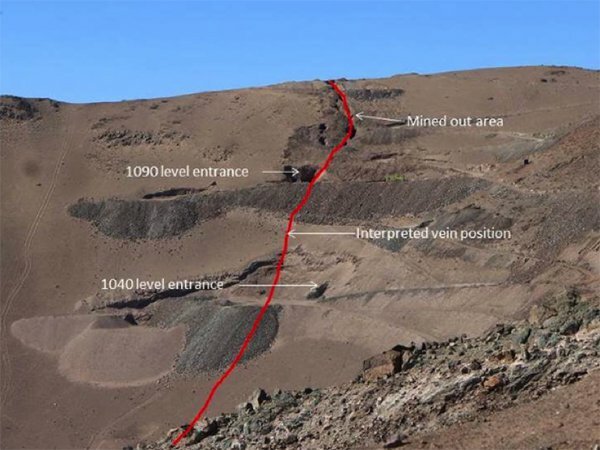 Metallum Limited (ASX:MNE), currently capped at around A$6M, is continuing to boost its production at its El Roble Copper project, located in the Atacama Iron Oxide Copper Gold (IOCG) region in Chile. 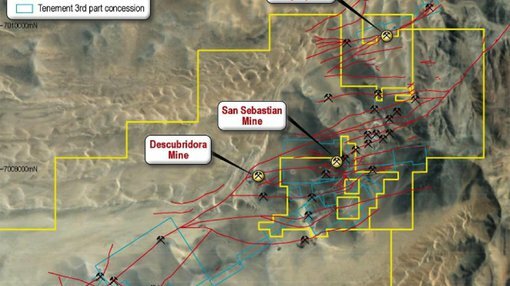 The latest reported figures indicate a production rate of between 60 to 100 tonnes of material per day are being mined and stockpiled at the San Sebastian mine – the largest mine within El Roble. The company expects to further boost production overall in the coming weeks, as production at the Paraguay mine is slated to kick off. The average grade for all material delivered to the mill to date is 4.72% Cu – well above original company forecasts of 3.00% Cu. Trucking to the mill continues, including the 800 tonnes previously stockpiled at San Sebastian. Meanwhile continued exploratory drilling results within mine access shafts continue to indicate the extent of high grade copper zones, including assays of up to 18.65% Cu. Since taking 100% ownership of the San Sebastian Mine at El Roble in December 2014, MNE has extracted and transported over 700 tonnes of copper bearing material to the nearby ENAMI processing plant. The ore material shipped to the ENAMI processing plant comes from shaft installation work for the first stope (a stope is an open space created in an underground mine) at the side entrance of the San Sebastian Mine. The stope walls are anticipated to contain the lion’s share of ore material and this area is expected to be mined over the coming weeks, which will lead to additional production volumes. MNE have identified a 2.5m wide average stope area, with the widest area measured at 4m. High grade ore deliveries could lead to bonus payments for MNE, as an agreement is in place with the processing plant for additional payment credits for copper ore over 8% purity. For copper material with purity above 8%, MNE will also be paid for the gold and silver credits contained within the material, which translates to approximately $1,600/t for the material transported from the San Sebastian Mine. Once the first stope at the San Sebastian Mine is complete, a much higher production level than 2014 is expected in 2015. By that stage, extraction is expected to be easier and it will then become more a matter of transporting the ore to the processing plant. Additionally, several other mines are also expected to be in production in 2015. The Panga mine has already been in production since September 2014 and now San Sebastian is expected to take a leading role in 2015. MNE also acquired the permit to extract material from the Paraguay Mine situated north-east of the San Sebastian Mine. The mining technique utilised at the San Sebastian Mine involves vertical mining (known as a shrink stope method), whereby miners are required to enter the shafts from a side entrance and mine vertically. Blasted mine material from the stope is used by miners as an area to stand and to mine vertically. Once the first stope is broken from above, MNE expects to have 2-3 months worth of production by transporting the material to the ENAMI processing plant. The expected timeframe for this to occur is between late January and early February 2015. The San Sebastian Mine currently hosts three shafts. The next stage of exploration will involve installing a lower level below the existing mine at the 1040m level. MNE aims to create an additional stoping panel, which the company anticipates will facilitate discovery of copper containing material. Another key milestone achieved by MNE in December 2014 was the granting of a mining permit for the Paraguay Mine, situated north-east of the San Sebastian Mine. After months of Chilean government discussions, MNE have overcome a century-old concession in order to operate at the prospective mine site. The permit allows MNE to extract 5000t/month of mineralised material from the Paraguay Mine. MNE have identified a key high grade zone at the Paraguay Mine, which can be operated on in early 2015. Sampling in March 2014 revealed a 40m by 3.20m wide vein that consisted of an average 3.10% purity copper ore, with selected single samples showing over 17% purity. The purity typically ranged between 2.00% and 6.89% purity.